What common myths about children's health can parents safely ignore? | Checkup | Kids VT - small people, big ideas! What common myths about children's health can parents safely ignore? You cannot "catch a cold" from wet hair or by going outside without a coat on. You may shiver and feel uncomfortable, but you won't catch a virus that way. Every parent receives unsolicited child-rearing advice from friends, family — even total strangers. Sometimes it's helpful; other times, not so much. And in some instances, "conventional wisdom" is not only wrong, but potentially harmful. 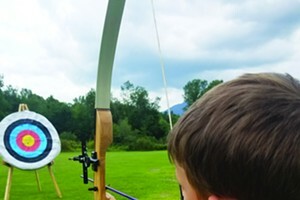 This month, Dr. Lewis First, chief of pediatrics at Vermont Children's Hospital, dispels some of the most oft-repeated myths that parents can safely ignore. KIDS VT: Is it true that you should feed a cold and starve a fever? LEWIS FIRST: Not true. Whether it's a cold or a fever, both are insults to your child's body and you need to make sure a child stays well-hydrated when sick, even if he or she isn't hungry. That will make your child feel a lot better. KVT: Does chicken soup really help? LF: A recent study suggests it provides several benefits. Number one, it may help in terms of the broth contributing to hydration. Number two, the salt may make you thirstier, which may make you hydrate even more. Three, the heat that comes off the soup humidifies the inside of the nose and loosens secretions that may allow you to breathe easier. One study suggests that the broth may contain ingredients that reduce inflammation in the back of the throat and make a sore throat feel better, but we need more studies to duplicate those results. KVT: Can a child catch a cold from cold weather? Or by going outside with wet hair? LF: You cannot "catch a cold" from wet hair or by going outside without a coat on. You may shiver and feel uncomfortable, but you won't catch a virus that way. The truth of the matter is, when the weather is cold, people stay indoors more. When kids and families stay indoors, they're more apt to spread germs from one person to another by coughing and sneezing on one another than if they were outside playing and exploring the outdoors. KVT: Does thumb-sucking cause buck teeth? LF: That's a myth. There is no evidence, until the permanent teeth come in at age 6, that thumb-sucking will affect the shape of the teeth. After the permanent teeth start to come down, however, it's feasible thumb-sucking could malposition them. So, the goal is to take care of thumb-sucking as a habit before the permanent teeth are in. KVT: Cracking knuckles is annoying to parents and teachers. Is it harmful? LF: It's a myth that it leads to arthritis as you get older, though there's some evidence it may lead to some swelling of the hands and minor discomfort. 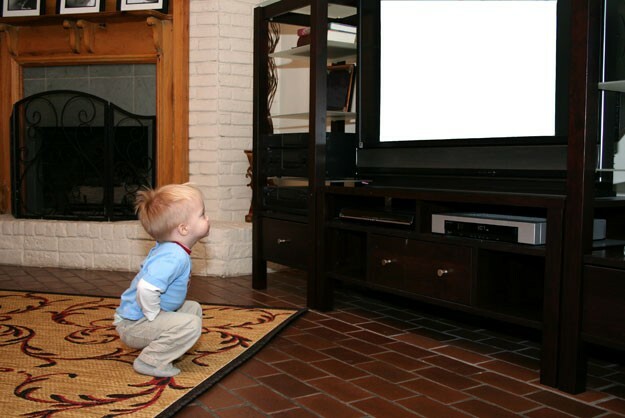 KVT: Is watching TV close up bad for a child's eyes? LF: When your child is sitting close to the TV, it's not going to affect his or her vision, but it may be a sign you child is nearsighted and needs corrective lenses. Otherwise, kids' eyes correct quite nicely when they sit close up. But it may also be a sign that they're watching too much TV! KVT: What about reading in dim light? LF: Reading in dim light is like sitting in front of a computer screen. It doesn't affect vision but it tires your eyes out and causes fatigue quicker. But it has no long-term effect in terms of vision whatsoever. When you sit in front of a computer for hours on end, studies suggest that you blink less and that dries your eyes out. That makes them feel fatigued and strained. If your kids are working on the computer, have them take breaks at least once every hour. KVT: What about the old saying, "If you cross your eyes, they'll stay that way?" LF: Not true. About 4 to 5 percent of children have weak eye muscles, called strabismus, which make it appear the child's eyes cross or develop what we call a "lazy" eye. If a child's eye appears to stay that way after they're crossed, they may have a mild case of strabismus. Oftentimes you see that in infants and toddlers. Eyes that cross early on should be seen by a doctor or ophthalmologist. But if it's school-aged children and they're crossing their eyes for attention, they won't stay that way. KVT: What about the common belief that chocolate and greasy food cause acne? LF: Acne is basically caused by secretions in the skin that block the pores. But chocolate and greasy foods by themselves do not cause acne. It's the hormones in your developing teenager that cause the greasy secretions that cause pimples. KVT: What about caffeine stunting a child's growth? LF: First of all, children shouldn't be drinking coffee, but it won't stunt their growth. What caffeine can do is block the absorption of calcium into the bones. So, if a child is not getting enough calcium, caffeine can affect the ability of the bones to grow. KVT: Do baby walkers help babies walk sooner? LF: Actually, walkers prevent children from seeing their feet, and when you're learning to walk, you need to have good eye-hand-foot coordination. If anything, walkers slow down the ability to coordinate the entire gait. In addition, there are safety problems. When kids start rolling around, there are too many accidents from kids in walkers falling down stairs. KVT: Some say kids walk earlier if they wear shoes. LF: Not true. When babies are learning to walk, keeping them barefoot actually strengthens their foot muscles and helps them walk sooner and even gives them better traction. KVT: Does iron constipate infants? LF: The small amount of iron in baby foods does not constipate. The problem usually is that babies may not be adequately hydrated. Or, the proportions of different proteins in formula compared to breastmilk result in harder, less frequent (but still normal) stools.